Zero waste shopping does not exist – is there a solution? I usually wax lyrical, as do many other zero waste bloggers, on the virtues of zero waste food shopping. 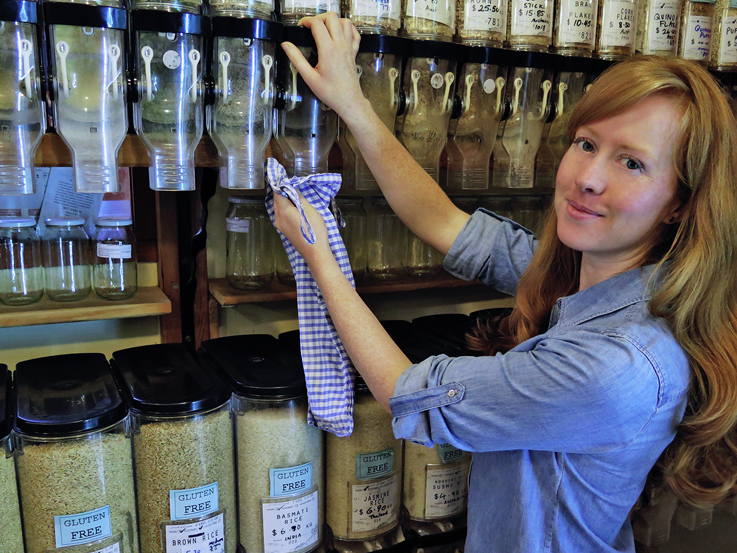 Those photos of us, filling up our jars or bags with bulk binned food, is one of the more popular visual associations people have with the zero waste lifestyle. See below. But when the curtain is pulled back on the store room of these bulk food shops, you would find there is no such thing as zero waste shopping. Yes, zero waste shopping does not exist! Hear me out, because I am going to talk about a solution further down. Don't worry, I'm not going to suggest we all start growing everything from scratch in our backyards either. Bulk food shopping allows the consumer (you and me) to buy food without packaging. 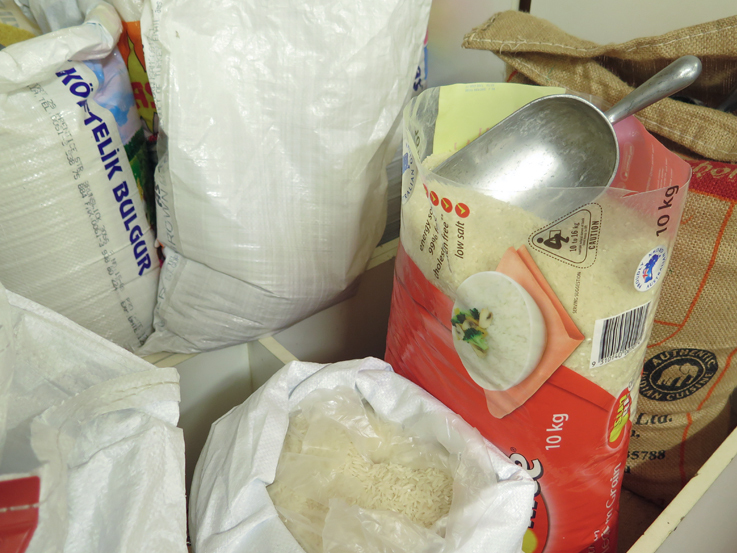 We go in, collect our food, shampoo, cleaning products, honey, soy sauce etc from bulk bins. It's usually purchased in jars, plastic containers and cloth bags that are used each time we all shop. Bulk shopping is about the reuse of packaging by the consumer. It's also about freeing up the responsibility of disposing the packaging. When I take my newly filled jars and bags home, I don't have any packaging to throw away. This type of shopping model is challenging the present supermarket individually wrapped system and I applaud it. Bulk food shopping puts the responsibility back onto the store where I bought it – it's up to them to find a way to deal with the packaging. When I shopped at the supermarket or corner store, the food came individually packaged for us. Once I emptied the package of food, we disposed of it in our rubbish bin or recycling bins at the supermarket. I was making the rubbish and it filled up the bin each week. Zero Waste shopping does not exist, because those bins of food we collect it from, is originally filled with food that is packaged, just on a larger scale. Large plastic sacks and tubs, that can not all be recycled or reused is what you would find in the back room of a bulk food shop. If that packaging is recycled, it would be down-cycled, meaning the plastic become another item of plastic and thats it. Down-cycling is the end of the road. Some items do come in paper, but not many. So while we the consumer are not making rubbish, our bulk stores are and that is why there is no such thing as zero waste shopping. It does not exist, yet. At my wedding, we hired TAP. Wines to serve wine. We chose them because we loved their business model; to challenge the wastefulness of wine bottles in restaurants. In a nutshell, TAP. have stainless steel kegs, filled up at wineries and then fitted into restaurant/cafe/bars, providing wine on tap. Rather than a new wine bottle, that comes with a cork or metal lid, stickers, boxes etc, TAP. simply fill up a stainless steel barrel, drop it off at the venue and replace it when needed. The stainless steel barrels are cleaned between refills and will last for over twenty years. At the end of their life, they can be recycled completely, not down-cycled like plastic. One, 20 litre stainless steel keg, is the equivalent of 26 bottles of wine. That is a lot of resources saved. The business model got me thinking about bulk food stores. Could a third party company do the same, but for bulk foods and make the zero waste food shopping actually zero waste? That's my idea to bring zero waste food shopping a step closer to zero, and make it more circular. My intentions when writing this blog post, was not to call out bulk food stores. As mentioned before, I applaud them for challenging the system. I'm merely putting an idea out there, hoping someone, say a millionaire that would like to launch or invest in a sustainably minded business, has read this. You are free to take this idea and run with it. Truly. Tell me, what do you think of this idea? 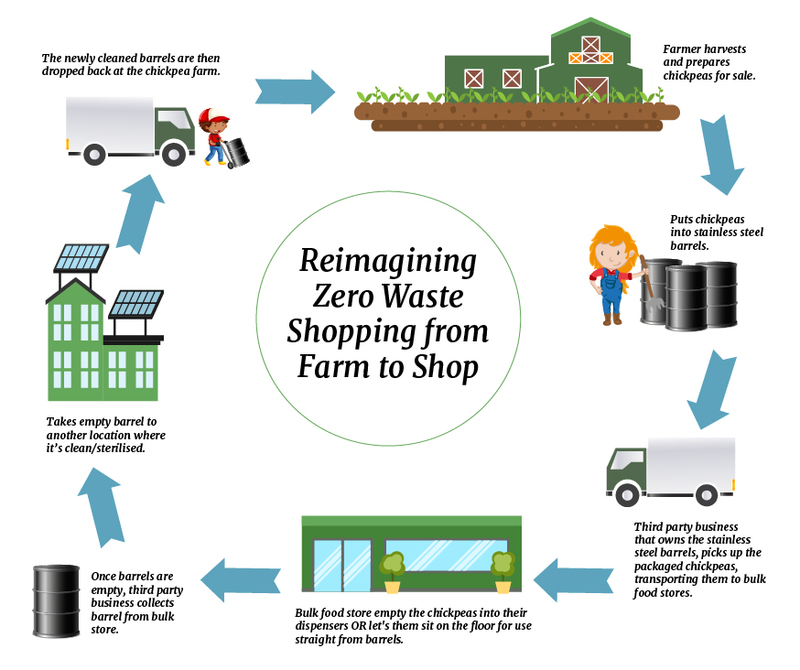 Or is there a simpler idea on how to make zero waste shopping truly without waste? How would you do it?